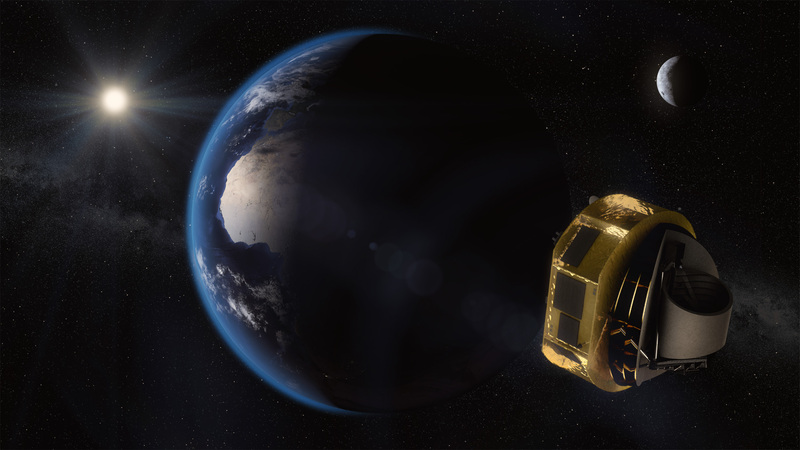 ARIEL, the Atmospheric Remote-sensing Infrared Exoplanet Large-survey, was selected as the fourth medium-class mission in ESA’s Cosmic Vision programme. During its 4-year mission, ARIEL will study what exoplanets are made of, how they formed and how they evolve, by surveying a diverse sample of about 1000 extrasolar planets, simultaneously in visible and infrared wavelengths. It is the first mission dedicated to measuring the chemical composition and thermal structures of hundreds of transiting exoplanets, enabling planetary science far beyond the boundaries of the Solar System. The ARIEL mission page on ESA’s website can be accessed here. ARIEL, a mission to make the first large-scale survey of exoplanet atmospheres, has launched a global competition series to find innovative solutions for the interpretation and analysis of exoplanet data. 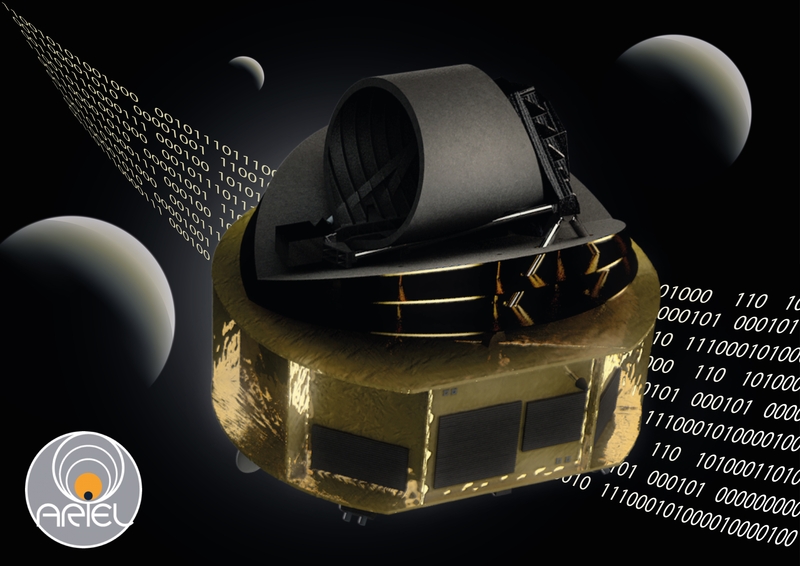 The first ARIEL Data Challenge invites professional and amateur data scientists around the world to use Machine Learning (ML) to remove noise from exoplanet observations caused by starspots and by instrumentation. ARIEL, a mission to answer fundamental questions about how planetary systems form and evolve, has been selected by the European Space Agency (ESA) as its next medium-class science mission, due for launch in 2028. During a 4-year mission, ARIEL will observe 1000 planets orbiting distant stars and make the first large-scale survey of the chemistry of exoplanet atmospheres. ESA’s Science Programme Committee announced the selection of ARIEL from three candidate missions on 21st March 2018. An ambitious European mission is being planned to answer fundamental questions about how planetary systems form and evolve. ARIEL will investigate the atmospheres of several hundreds planets orbiting distant stars. 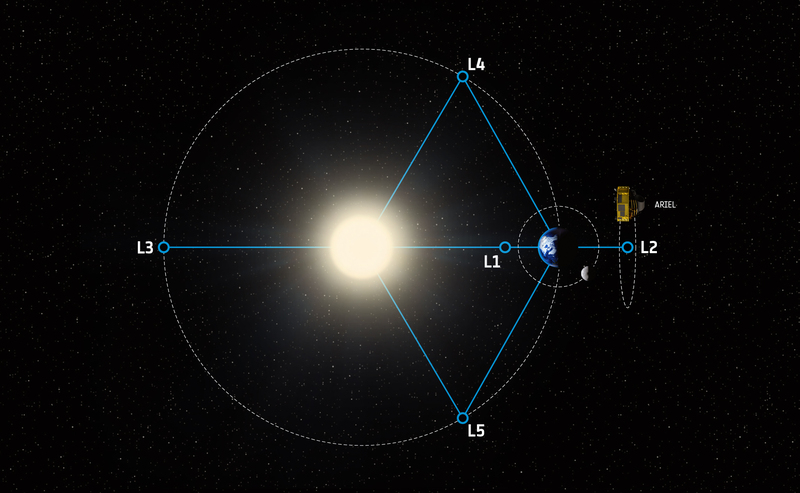 It is one of three candidate missions selected last month by the European Space Agency (ESA) for its next medium class science mission, due for launch in 2026. The ARIEL mission concept has been developed by a consortium of more than 50 institutes from 12 countries, including UK, France, Italy, Germany, the Netherlands, Poland, Spain, Belgium, Austria, Denmark, Ireland, Portugal. The mission will be presented today at the Pathways 2015 conference in Bern, Switzerland, by ARIEL’s Principal Investigator, Prof Giovanna Tinetti of UCL. The ARIEL mission payload is developed by a consortium of more than 50 institutes from 17 European countries, which include the UK, France, Italy, Germany, the Netherlands, Poland, Spain, Belgium, Austria, Denmark, Ireland, Norway, Sweden, Czech Republic, Hungary, Estonia and Portugal.